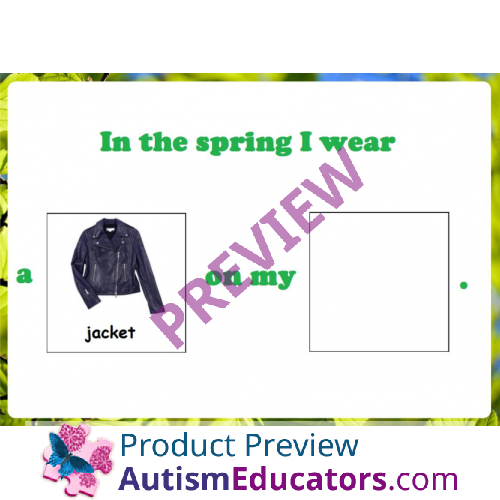 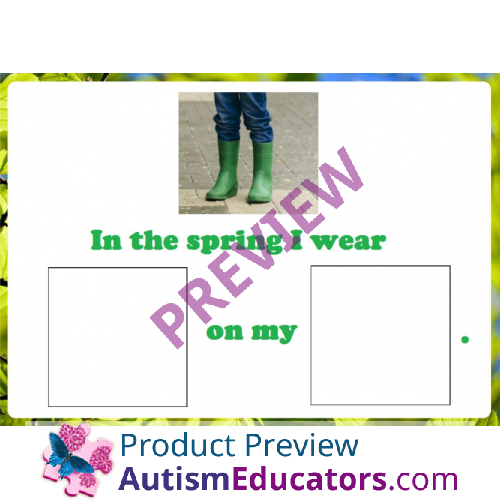 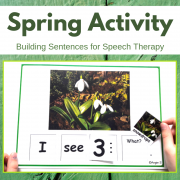 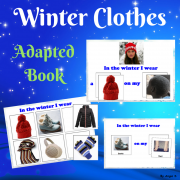 What Do I Wear in the Spring Interactive Book (26 pages) for early age, pre-K and Special Education students. 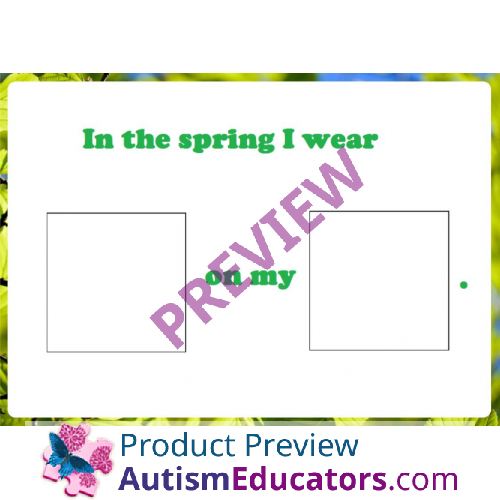 Can be used in March, April and May. 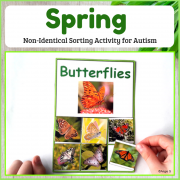 The resource uses real life pictures that works great with students with autism. 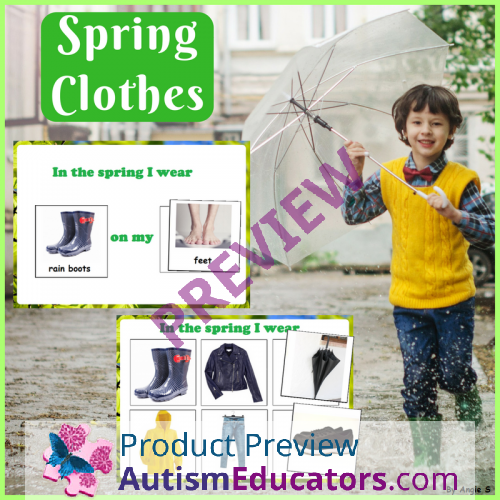 It is great for learnig the spring clothing as well as the body parts they should be used on. 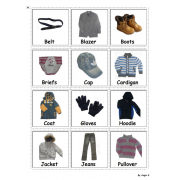 The pages must be printed and laminated. 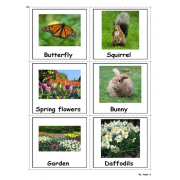 There are different ways to use the printables, depending on your students ability. 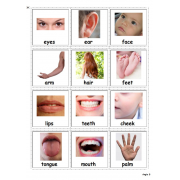 The last 4 pages with cards must be cut out. 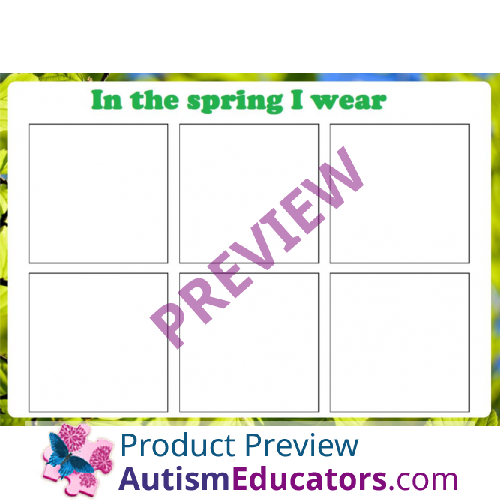 Use velcro dots on the back side of each card and in the middle of each blank square on the pages of the book.